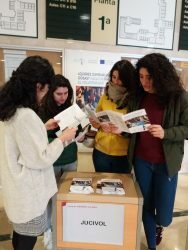 This II Week of Volunteering (19-23 February 2018) has been a meeting point for university staff and for social entities, a space to share inform on volunteering programs, and encourage the participation of youngsters in these programs. 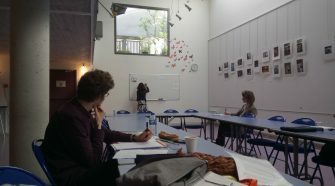 During the week different activities have been organized: itinerant information tables, exhibitions, an introductory course on volunteering, lectures in the classrooms, among others. 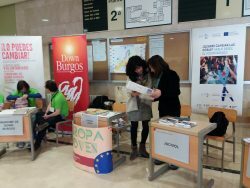 More than twenty entities have participated in the event in addition of the Volunteering Platform of the City of Burgos. 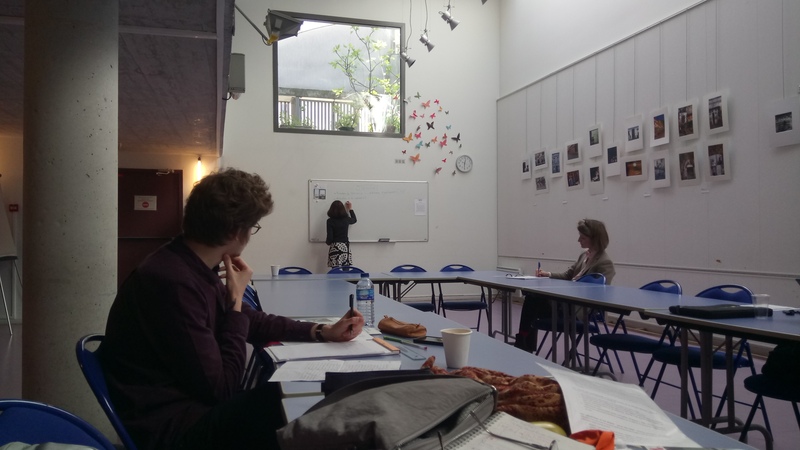 The training course for volunteers was be taught by the representative of the Volunteer Office of the City of Burgos, Idoia Larrea, who also collaborates with Jucivol. In this course potential volunteers learn about volunteering programs and about volunteers’ rights and duties while sharing volunteering experiences. 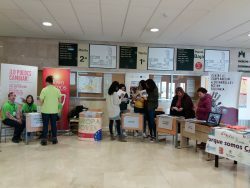 On February 22, the Volunteer Fair counted with 20 social organizations, Jucivol among them, providing information to the university community on different volunteering programs and projects for youngsters. 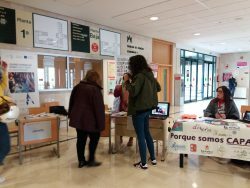 Our participation at the Feria de Volutariado constituted an excellent opportunity to present Jucivol to target groups (students, professionals) and stakeholders, such as local NGOs and associations.